TI recently published a photo on their Facebook page on what seems to be a new calculator/calculator add-on called Orion TI-84 Plus. A specially adapted version of the Texas Instruments TI-84 Plus calculator will transform STEM education for students who are blind and visually impaired. Speculation has already begun in the attached topic about how this add-in works. Some believe that this will piggyback on the calculator's existing capabilities, perhaps by interpreting screenshots taken over USB. 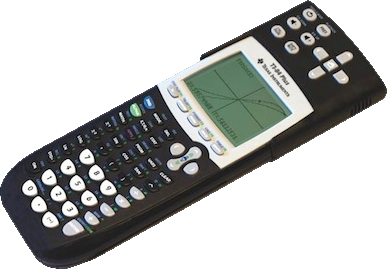 Others think it may result in another OS upgrade for all of the calculators involved, while I wonder whether this will work with the upcoming TI-84+ CSE. I hope it will work with all existing calculators in the TI-84 Plus family, which based on the photograph below is likely the case. There are 248 users online: 14 members and 234 guests. Members: CinnamonGlue42, commandblockguy, GregsAStar, kg583, otzzila, Sam, slimeenergy, Zaalane, _iPhoenix_. © Copyright 2000-2019 Cemetech & Christopher Mitchell :: Page Execution Time: 0.104769 seconds.